The WordPress site is the front-end “face” of the ActivateHub events aggregator calendar, a creation of Lindsay Caron, who is one of the most dynamic and energetic people we know! She came to us with a sort-of-okayish site, but it was nearly impossible for her to update the site herself (like, what’s the point of a CMS if you can’t actually update your site, man? ), and the site’s navigation was shockingly confusing. She needed to get it organized more clearly so she could present her calendar to potential partners – a critical piece of the start-up puzzle. 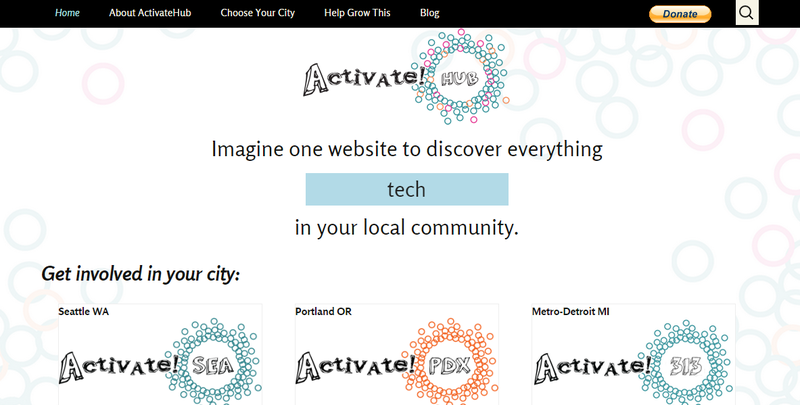 That led to extensive brainstorming sessions in which we explored everything about ActivateHub, from its very raison d’etre to where it might end up in 10 years. The result put Lindsay in a position to proudly show off her wares and now she’s got some firm financial footing and is at work growing her team. See it live here. The rotating words are pure CSS!